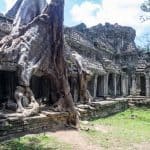 Cambodia’s Angkor ruins are much more than just Angkor Wat and the “Tomb Raider Temple” (aka Ta Prohm). The area boasts hundreds of temples and other sights. That is why you want to prepare your visit to Siem Reap and arrive with a plan. My posts should help you not miss out on anything, regardless of whether your stay lasts one day only, three days, or longer. 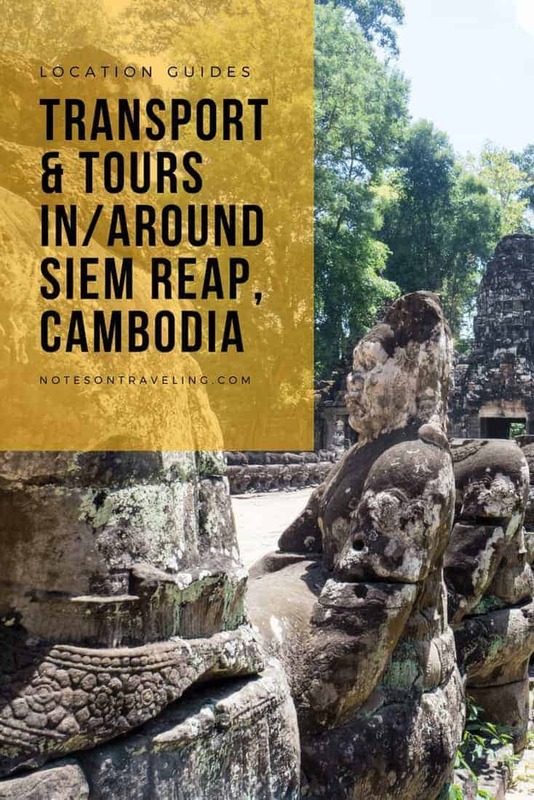 This part of my guide to visiting Angkor gives you all the practical info you need to prepare your stay: from historical background to how to get here to how to best move around, money issues, and, of course, tips on where in Siem Reap you should sleep. Don’t forget to check out the other part of my Angkor Guide: A detailed list of all the sites & sights in Angkor Archeological Park and further afield, including tons of photos and a convenient map. When we speak of Angkor, we speak not just of Angkor Wat but of hundreds of bigger and smaller temples built by the Khmer (aka the Cambodians) between the 9th and the 15th century in an area that covers 1,000 square kilometers. 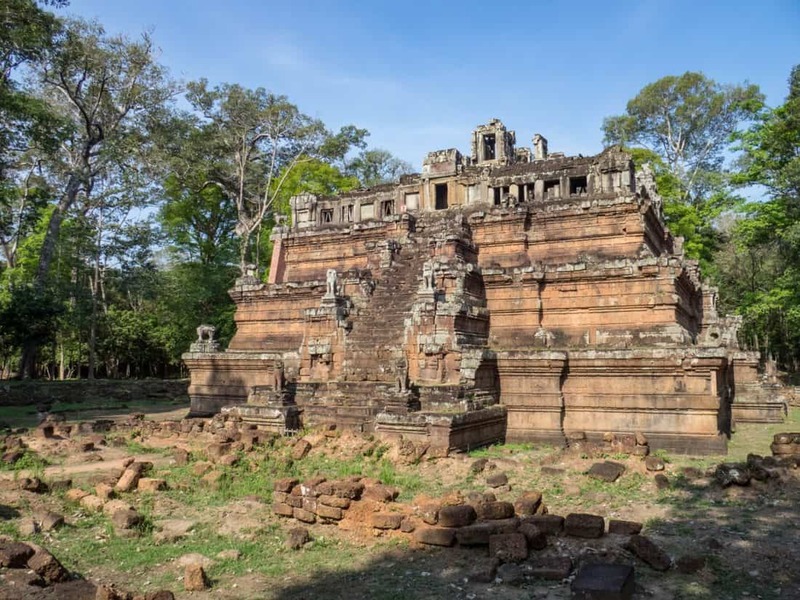 Most of the bigger and partially restored temples are located about 5 km outside the city of Siem Reap in what is known as the Angkor Archeological Park. The largest one is Angkor Wat. Angkor Thom is bigger than it’s neighbor to the South, but it’s a collection of temples and other royal buildings rather than one monument. Angkor is not so much the name of a nation but merely means “city” (or “capital”) in Khmer, the Cambodian language. 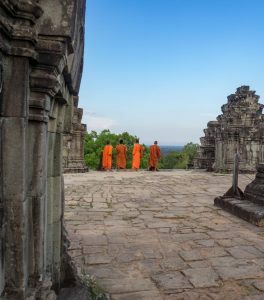 For more on the terms that you might come across in Angkor, scroll down to the end of this post. The temples of Angkor were mainly built by various kings, in some cases by wealthy businessmen and advisors to the king. They are dedicated to Hindu Gods Vishnu and Shiva as well as to Buddha. Yes, in Cambodia of that time there was a fair bit of religious diversity. 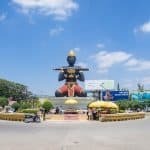 To this day, the influences of Animism (which predates the other two religions) and Hinduism (which came from India and predates Buddhism) are visible in the Buddhism most widely practiced in modern Cambodia. While Angkor was used for several centuries, eventually many of the temples were forgotten, and the dense jungle claimed them. At the beginning of the 20th century, France was the dominant colonial power in the region and French explorers re-discovered the first of the Angkor ruins. Excavations started, but then war with Vietnam and the bloody reign of the Khmer Rouge in Cambodia led to a renewed abandonment of the structures for several decades. Only in the 1980s, the situation had calmed down enough to resume explorations of the temples in the jungle. Angkor Wat was partially rebuilt and opened to the public. Today, more than two million people visit Angkor each year with the numbers rapidly increasing. Since the 1990s, several more temples have been rediscovered. Some are still largely in the state they were found in (minus flora that made a visit challenging and dangerous). Some have been painstakingly rebuilt (look out for before/after shots and be blown away). To me, that’s the charm of the Angkor sites: While you can stick to the — highly instagrammable — highlights, you can also delve deeper and learn more about how archeology works. 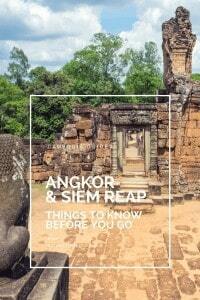 Did I mention, I wrote a guide to all the major temples and other sites around Angkor? Click this link to see it! If you do want to know more about the history and details in each temple, consider hiring a professional, certified guide. They are available in multiple languages and their services, depending on the required language, cost about $35 to $70 per day. Most tuk-tuk drivers don’t speak a lot of English and don’t have a lot of knowledge about the temples. They will, however, usually carry a map and point out where you are going, some even sharing the bits of knowledge they’ve picked up along the way. An alternative to booking a personal guide is going with a shared tour (see below). They all come with an English speaking guide. Temple fatigue is a real issue in a place like Angkor. So you want to be careful about the number of temples you cram into one day. It can also get scorching (and humid) in Cambodia. Therefore, I found the best strategy to be to take half days of sightseeing, usually mornings, and then relaxing in the afternoon. 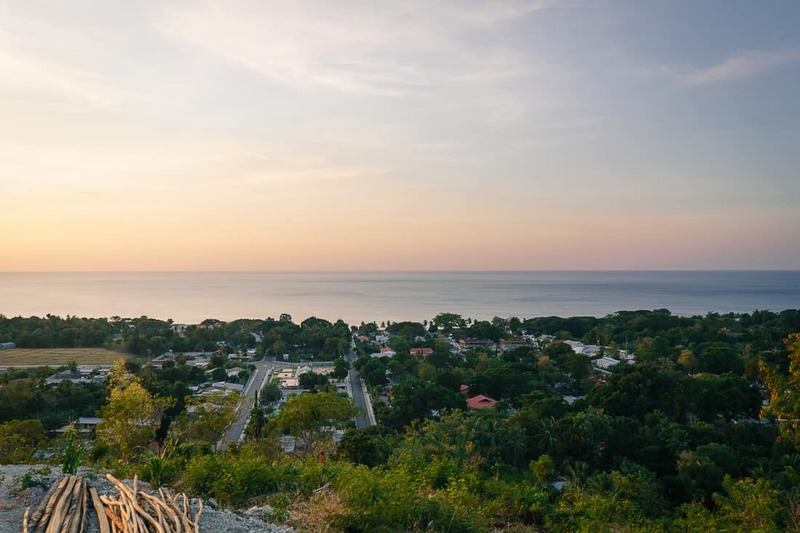 Phnom Bakheng is the only exception because you want to see the sunset there. The weather in Siem Reap is tropical, meaning highs of 30° to 40°C throughout the year and night-time temperatures of often above 20°C. Add to that torrential rains between May and October, and you can imagine that any physical activity quickly turns into a challenge. Cambodia uses two currencies: US dollar bills and the Cambodian Riel bills (on the street, $1 = 4,000 Riel). When you use your foreign credit card, most ATMs will dispense pristine $100 bills. Each withdrawal carries a charge of $4 to $5. While street vendors, tuk-tuk drivers, and even restaurants often struggle with change, you can break bills by paying rooms in cash (and asking for small change) or by going to the larger supermarkets. Note that the Angkor ruins are almost all consecrated temples. So appropriate attire (covering shoulders and knees) is required. In some instances, a scarf/sarong used as a skirt will not be enough. I have seen people being removed from the waiting lines for Bakan (the central tower of Angkor Wat) for just wearing a sarong over their shorts. To protect yourself from the heat, bring a hat. Cold water and other drinks are on sale en masse all over Angkor. The good news is that children under the age of 12 get free entry to Angkor (bring ID). The bad news is that they aren’t allowed on any of the steep climbs (Pre Rup, Bagan tower in Angkor Wat). I would recommend talking to the Angkor ticketing counter and have them mark all sites that children cannot enter to avoid disappointments. 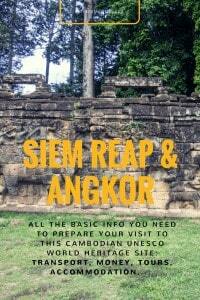 When deciding how to conquer Angkor, note that the structures are much further apart than the tourist maps available freely in Siem Reap would have you assume. The Small Circuit is 17 km (plus at least 6 km to/from Siem Reap). The Big Circuit covers 26 km. Siem Reap airport has international flights from Thailand all the way to the US and Australia. The airport is less than 10 km from the city, and tuk-tuks/taxis are always on hand. 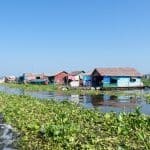 If you are coming from Phnom Phen, you can take the speedboat across Tonlé Sap lake. Otherwise, buses connect the city to several destinations in Cambodia as well as neighboring countries Thailand (Bangkok), Laos, and Vietnam. Buses stop in the center of town. Tuk-tuks are a comfortable and affordable way not only to go around town but to do your sightseeing as well (rides in town cost about $2, the trip to Angkor Wat is about $5). They offer space for up to 4 people. When going to the temples, it is often cheaper to book a driver for the day than to be dropped off and then find a different ride back (though there are always plenty of tuk-tuks available around the Angkor Archeological Park). I have booked tuk-tuks for a day for as little as $15. Best talk to your accommodation as they have tuk-tuks on staff and offer reliable rates. If you are traveling solo, consider getting on a moto instead of a tuk-tuk. The drivers charge about 1/2 of the tuk-tuks and can move more swiftly in the thick afternoon traffic of downtown Siem Reap. You can also rent bikes or scooters for $5 to $10 via your accommodation or agencies downtown. For excursions further out, you might need to get a car. Kulen, for example, is not only 60 km outside Siem Reap, but it is also too steep for tuk-tuks to climb. There are multiple group tour providers for all the regular tours (Small Circuit, Big Circuit, sunrise/sunset, Kulen, Beng Mealea, floating villages, etc.). However, some of the hotels I spoke to were not advertising shared tours at all or refused to make contact. I found the best deals by simply going downtown and checking in with the multiple booking operators in Pub Street vicinity (my favorite is a small shop in Sok San Road, across from the Heart of Angkor bar — the wife in this couple-run agency also offers a mean avocado smoothie). 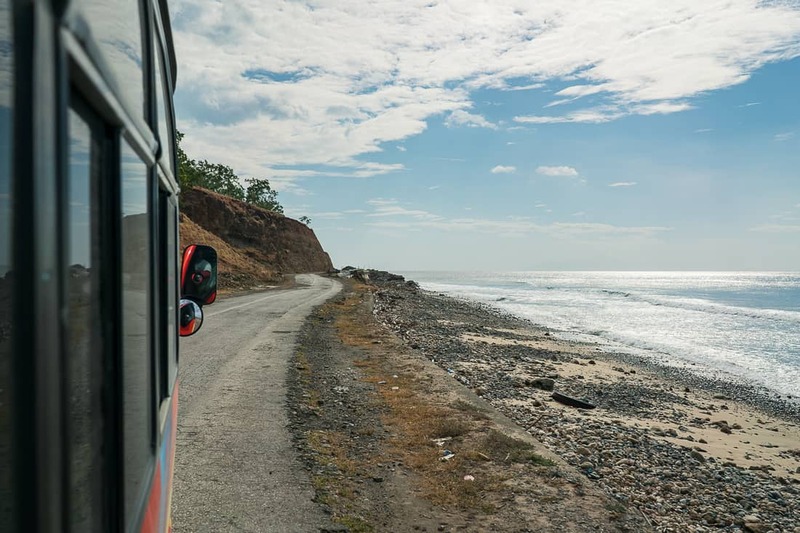 The advantage of the tours is in some cases the lower price (than if you booked a tuk-tuk as a solo traveler), and always the added support of a guide. siemreapshuttle.com was the first I found. They were also the first company to offer group tours in Angkor. 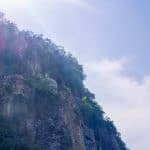 I booked a tour to Kulen with them for $35, which included the $20 entry ticket, an English speaking guide, and stops at the 1000 Linga River, the Reclining Buddha at Kulen Pagoda, and Kulen Waterfalls with plenty of time for a swim. However, I shared the tour with only one other person, and the guide seemed mentally unstable, breaking into a ramble about the terrors of the Khmer Rouge and the Vietnamese conspiracy while we were visiting the river. I used grouptoursdaily.com for a Beng Mealea tour. They charged $28, excluding the $5 entrance fee. The tour accommodated ten people, the guide was definitely in a better mood and quite knowledgeable but had a hard time keeping the group together. Update: As of February 2018 the website is defunct and I can no longer find the operator online. I got the hellobirdtour.com flyer from my hostel but never used them. 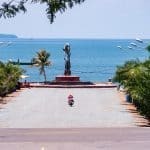 I used butterflytours.com for a tour in Battambang and they also offer bike tours in Siem Reap. While they are slightly more expensive, I recommend them because they are a social enterprise offering students a way to earn an income. Finally, check Get Your Guide for tours. 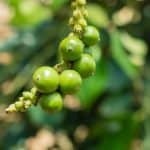 I have only started them in the past few months but I am finding that – in contrast to some of their competitors in the field – their prices are more often than not similar to those I am finding on the ground. 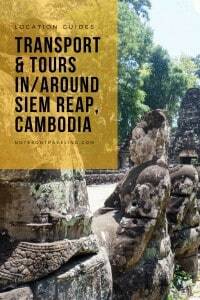 The following is an example of their Siem Reap tours – as you can see the prices are very reasonable. 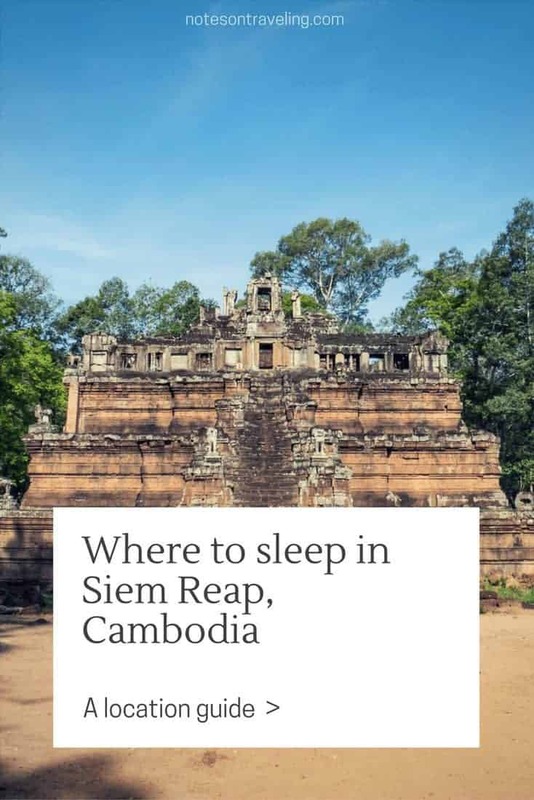 Siem Reap offers a broad range of accommodation types for all budgets: from giant Radisson Resorts to boutique hotels with less than 20 rooms to smaller guesth ouses (called “homestays”), and hostels. I stayed in four different accommodations in different parts of town during my three weeks in Siem Reap: two boutique-style hotels, one homestay, and one pod-style hostel. The location of your accommodation in relation to the Angkor Archeological Park is unimportant. You will need some form of transportation to visit the temples near and far. Pub Street and the surrounding area features — as the name suggests — a host of bars and restaurants aimed at the (Western) tourists with loud music until the early morning. Follow the river north, and the traffic subsides. The hotels are primarily boutique style, often with pools. The restaurants and coffee shops are quieter, aimed at the conscious or cultural traveler (with a bit of money). The upper end of Sok San Road offers a good compromise of quainter hotels, vicinity to downtown, and affordable, yet Western-style restaurants serving local fare (charging around $3 for a main course). All accommodations have tuk-tuk drivers on staff, which guarantees set prices. Community Home Stay (North of downtown, on River Road — $15 for a king room with breakfast): Cheap rooms that at times look a bit cheap and dirty. Simple breakfast of egg and bread included. Downtown not in walking distance but a couple of very local restaurants (without English menu) or more pricey Western restaurants along the river. Great tuk-tuk drivers with a bit of knowledge about the temples (and the English skills to convey that knowledge). Boutique Dormitory Kochi-Ke Hostel (Angkor Night Market Street, off Sok San — $5 for a pod-style bed in a large dorm with A/C; $4 for a dorm with fan): Modern design in a location with just the right distance to touristy Pub Street. Unfortunately, their A/C is not strong enough to cool all the pods in the room, and there is no food/drinks/kitchen available. Bliss Villa (far West on Sok San Road –$14 per room with breakfast): Unbeatable value. Spacious modern rooms in a quiet setting, OK breakfast buffet, refreshing pool, and reception staff that is trying to help you with everything: they can book private tours, groups tours, bus/plane tickets, get you a 3-month Vietnam visa within 24 hours,… And if they don’t know something they’ll get on the phone right away to find the info you need. Plus, the cheap restaurants in the street offer local fare in a westernized setting at almost local prices (my favorite: Five Sisters). Angkor (អង្គរ) is a Khmer word meaning “city.” It is a corrupted form of nokor, which derives from the Sanskrit word for city, nagara. Banteay (បន្ទាយ) is a Khmer term meaning “citadel” or “fortress” that is also applied to walled temples. Baray (បារាយណ៍) means “open space” or “wide plain” but in Khmer architecture refers to an artificial reservoir (like the ones around the Mebon temples). Esvara, or Isvara, (ឦស្វរៈ ~ ឥស្សរៈ) is a suffix referring to the god Shiva, especially its omnipotence, freedom, and independence. Jaya (ជយ ~ ជ័យ) is a prefix derived from Sanskrit meaning “victory”. 12th-century Jayavarman VII is the most famous of the Khmer kings. Love this post! I’m planning a trip to Cambodia for next summer and have saved this post for my planning! Thanks also for including a dress code for visiting the temples! I recently read a travel book where someone was in Cambodia visiting those Angkor’s! And like you said its not just Angkor Wat, but many wonderful temples around. I would love to visit as much as I can ! What a wonderful place! You gave here so many unsell information! Definitely saving it for later! I would love to visit it… like crazy! I will plan this travel soon and certainly will use this post as a guide! I had no idea Angkor was so spread out. It’s great that there are so many affordable transportation options for getting around. 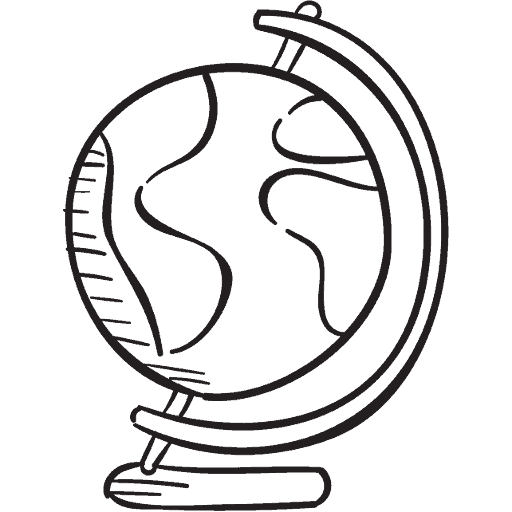 This is a great guide for the practicalities of visiting such a large place. I love how they are called tuk-tuk! 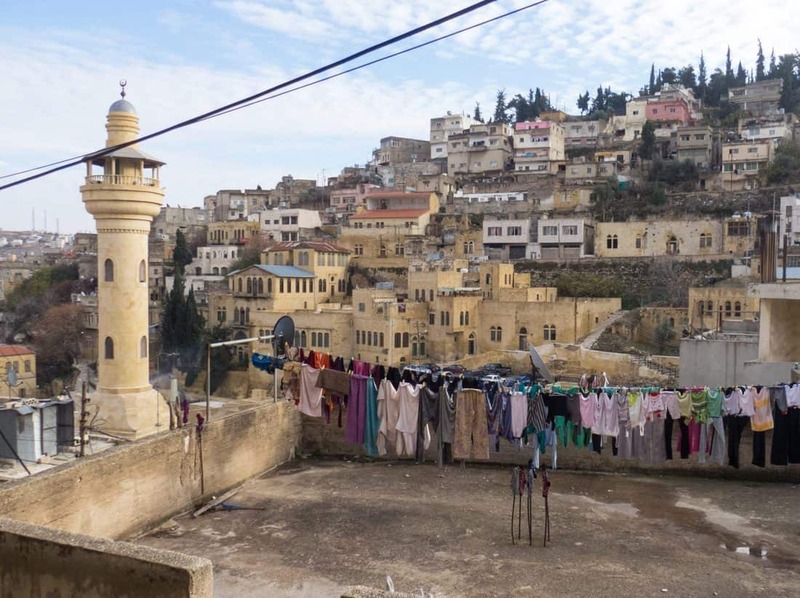 It’s quite interesting to read about a city I never thought about visiting. Angkor is spectacular! Thanks a bunch for the detailed and informational post! What an informative guide! I never heard of Angkor but it sounds like I need to be updating my bucket list!